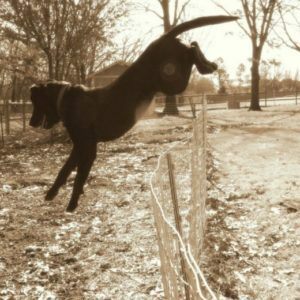 How To Keep A Dog From Jumping & Climbing The Fence - Best DIY Guide! 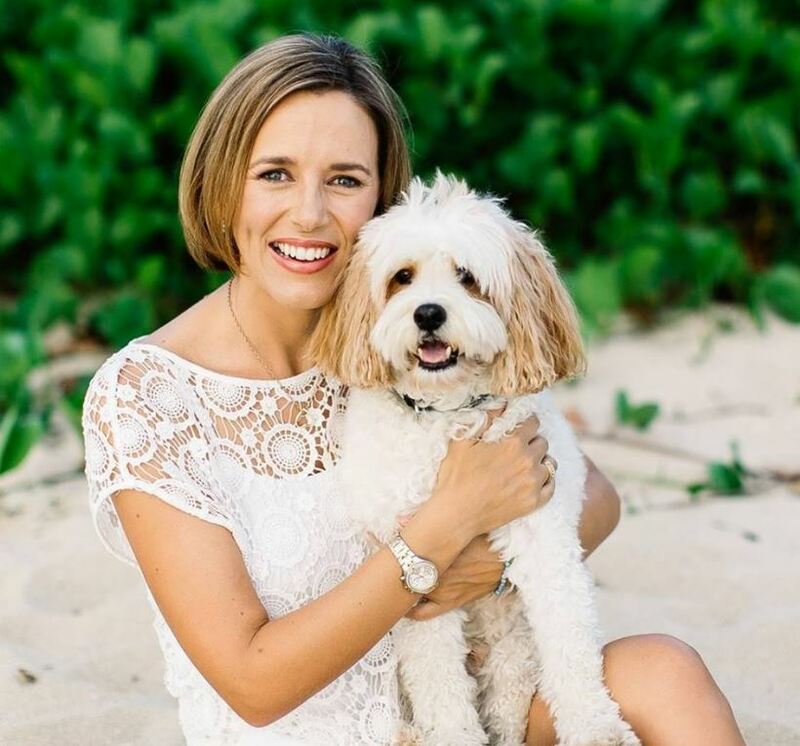 Have you ever woken up to a call from the neighbors, or worse the SPCA, claiming your dog has jumped the fence again and you need to come get it immediately? This is extremely frustrating, especially if you have already spent a ton of your hard earned money on having a good fence built. It can seem hopeless at times if your dog is a repeat escaper that just doesn’t want to stay in the backyard. Don’t worry, you’re not alone! We have a ton of collective experience with this issue over the years with different dog breeds. Keep reading for practical, tested solutions to stop your dog from jumping or climbing the fence once and for all! An L-footer is a great way to stop your dog from jumping over the fence if used a little differently. You’ll want to turn it upside down and use it at the top of the fence. Create the L-shape and securely fasten the short side to the top of the fence and have the rest of the hardware angled towards the yard so that when your pooch looks up they will see fencing. The reason that a lot of dogs are able to jump over high fences in the first place is that they get a really good running start. 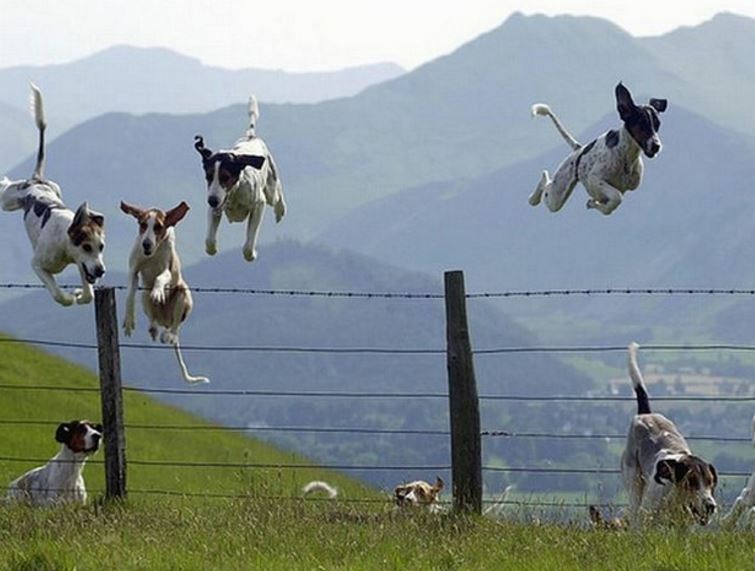 The momentum is what enables these pooches to soar over the fence like an eagle taking flight! However, if you make a second, smaller fence about 3 feet in front of the main one, they won’t be able to get a good running start and jump high enough to clear the main one. Another similar method to the second fence is some shrubs or trees a few feet in front of the fence. This will serve the same purpose, the disadvantage is that the dog could possibly destroy the trees/shrubs if they aren’t given enough time to grow. A relatively new invention that will definitely solve this problem is the no jump harness. It works by restricting the movement of the dog’s hind legs so that it can’t jump at all. This should not be a permanent solution but rather something that can be effectively used during training. It should not only stop them from jumping chain link fences, but also from jumping on people and furniture. Now for a few methods that you can use to keep Fido fenced in and unable to climb over the top with ease. 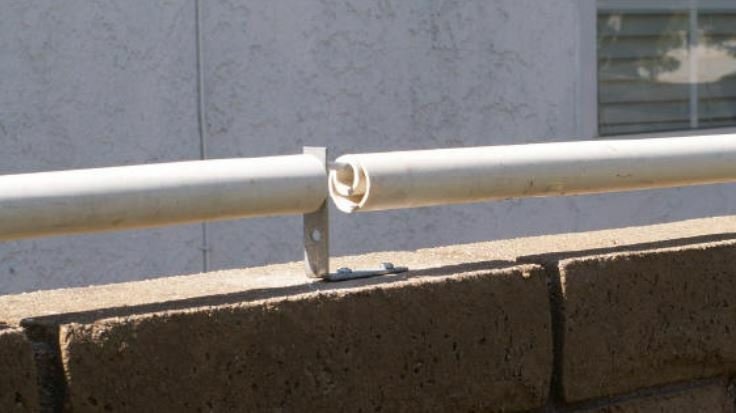 A simple and cheap solution that you can do yourself to stop dogs climbing over the top of the fence is to use some cheap PVC piping at the top. First cut some 5-inch diameter PVC piping lengthwise and place it along the top edge of the fence. You can hold it in place with some screws. For those that don’t know, a coyote roller is a 4-foot aluminum roller that is designed to stop animals from scaling the top of a fence. The way that it works is when a coyote or other animal climbs to the top of a fence, the aluminum roller spins when they try and get their footing. When the roller spins they are unable to hold on and harmlessly fall to the ground. This device works perfectly for not only for dogs and coyotes but other wildlife that will try to scale your fence and get into your yard. We would also highly recommend the coyote roller if you live in a rural area and want to keep coyotes from easily scaling your chain link fence. This is essential if you have small dogs, as coyotes are notorious for getting into yards and killing smaller dogs. 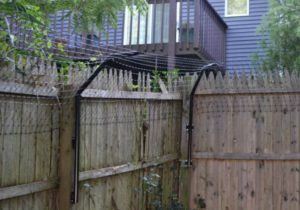 You can place some “cat netting” on the fence at an angle to stop your dog from being able to get a foothold and climb. Along with the methods that we listed, you should also use some of these preventative measures to have all your bases covered. 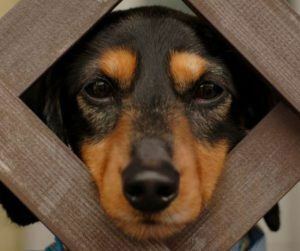 If your pooch cant see all the fun happening on the other side of the fence, then they won’t feel left out. Often times when there are lots of distractions on the other side of the fence, such as another dog, for example, it can give them a lot of motivation to climb or jump the fence to join in on what’s happening on the other side. However, if they can’t see anything they are way less likely to try and jump or climb the fence. There are a few different ways that you can go about restricting their view. The first is to use reed fencing. This is a cheap and easy way to limit how much your dog can see. It won’t block visibility completely, but it will help to cut it down and might be enough for your pet. Another way is to use wooden fencing. This is one of the more expensive options but also one of the most effective. Wooden fencing has the advantage of almost completely blocking visibility and can be built quite high too. This may be the best option if others are not working. Planting some fast-growing shrubs right in front of the fence is another option to look into if you are able to keep your canine away from them while they grow, otherwise, they could be destroyed by your canine, leaving you back at square one in no time. Would you be surprised if we told you that your dog might have had help in their great escape? 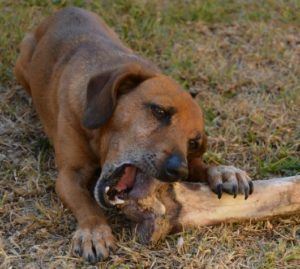 The truth is, everyday things in your yard like garbage cans, piles of firewood, lawnmowers, or even a low hanging tree branch can be used by an intelligent dog to give them the boost they need to get over the fence. Some breeds of dogs like Pitbulls, Huskies, and Shepherds are quite intelligent. You would be surprised at what they can use to aid them in their escape, so make sure that there is nothing near the fence that they could possibly use to their advantage. You don’t want your dog to be terribly bored when they are in the yard. A bored canine is one that will try and escape. Luckily, there are some simple but often overlooked things you can do to try and make their time in the yard more fun. It’s no secret that dogs like treats. What you can do is try hiding some treats in the yard and your pooch will be occupied for hours running around trying to find them. Another method is to use an automatic dog food dispenser to dispense small amounts of food or treats on a time release schedule. This will keep them busy for hours while they wait for the next snack to come out. By playing some simple games like fetch with your dog, you can kill 2 birds with one stone. First is that the actual playing of the game will surely tire them out so much that they won’t have the energy to jump the fence. Second is that you are associating the fun of the game with the yard. If they have fond memories of the yard they will be less likely to try and get out. This should be one of the first lines of defense for entertaining your dog. A simple kong toy or rawhide bone can often keep them occupied for hours as they chew happily. TIP: Fill a Kong toy up with treats and your dog will chew at it for hours trying to get at the treats inside. If you have tried other methods but you truly have a difficult mutt on your hands then the only solution left would be to lock them in a high quality crate while you’re gone, not for too long obviously. As for what type of crate you get, we definitely recommend using a something so strong that your dog can’t break out. It would defeat the whole purpose of crating them if they were able to easily break out of a cheaper plastic crate. 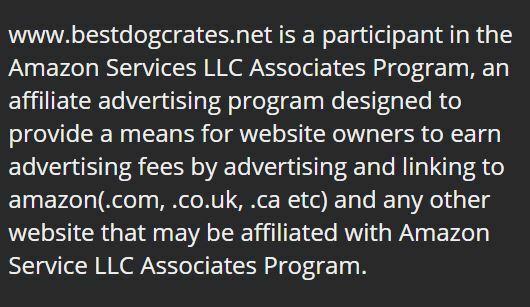 You can view some strong and heavy duty kennels here.